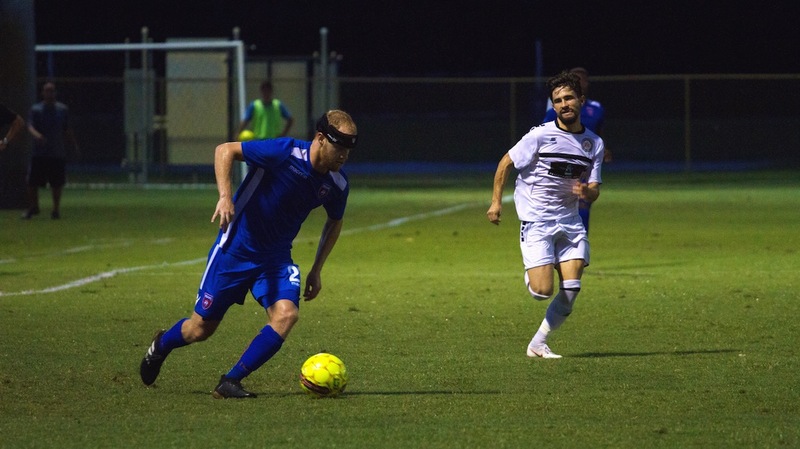 Miami Gardens, FL – The NPSL South Regional Semifinal between The Miami FC and the Atlanta Silverbacks happened just as you’d expect it. Miami came away with a 2-1 victory, but, in character, played down to their competition. True, Miami rested a good amount of their regulars, with some guys not starting (Rhett Bernstein, Kristopher Tyrpak), or subbed out (Tyler Polak, Dylan Mares, Ariel Martinez, Dario Suarez), which, Coach Paul Dalglish admitted was a gamble. One that paid off. Miami Opened up the game, scoring in the 21st minute. The opportunity came off a corner, where Martinez switched the ball back across the penalty area with a lob that Sean McFarlane one-touched with a blast into the side netting. 1-0. Atlanta would equalize in the 35th minute. One minute after being subbed on, Thierry Jules dribbled between Miami’s defense and sent in a shot that beat Daniel Vega into the top of the goal. 1-1. The turning point came in the 78th minute, when Atlanta’s David Koloko got a little overzealous on his tackle of McFarlane, earning a red card. Miami would capitalize on their subsequent free kick. Midfielder Tomas Greco sent in a cross that forward Kris Tyrpak brought down and sent home, giving Miami the 2-1 lead, and the victory. The Miami FC’s Jeff Michaud setting the tempo. Next up, Miami will host the Little Rock Rangers on Saturday night in the NPSL South Region Final. Kickoff is scheduled for 7:00 p.m. at Bobcat Field at St. Thomas University.